The ability to own private property is the foundation for building wealth with real estate…or anything else for that matter. But what is “ownership” without control? And what happens when society’s needs and desires slam up against individual rights? Sometimes it’s just heated debate and angry rhetoric. Often, it ends up in litigation with issues being decided in the courts. In this episode, we visit with two lawyers…each of whom are involved in defending individual property owners’ rights against incursions by governmental agencies. When rank and file real estate investors think about property rights, it’s usually in terms of zoning, building codes and rent control. But there are a whole host of other rights that are often part of property ownership including air, water and mineral rights…and more besides! During the mortgage crisis and even today, we hear stories about the government essentially forcing a property owner to turn over their private property to the government for “fair compensation”…even if the property owner doesn’t want to sell. And who decides what’s “fair”? More importantly, how the government just step in and force a private citizen to sell (or buy…but that’s a different debate) something against their will? The government invokes a power called eminent domain. The premise is that the private property owner’s rights subordinate to the “greater good” in the sole judgment of the government. That may not be the technical legal definition, but for all practical purposes, that’s the way it works. The potential for abuse is obvious and to no great surprise uncomfortably common. Similarly, government agencies from city to federal, can (and do) restrict the ability of property owners to use, develop or harvest resources from their own private property. 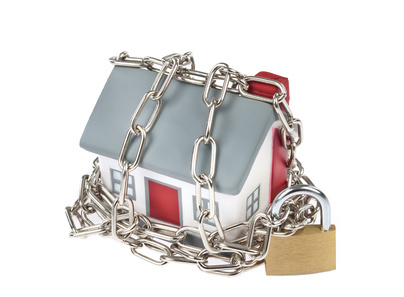 So while the government doesn’t necessarily take title to the property, the restrictions imposed can dramatically affect the value of the property or the economic benefit derived therefrom. In this episode we visit with two attorneys. 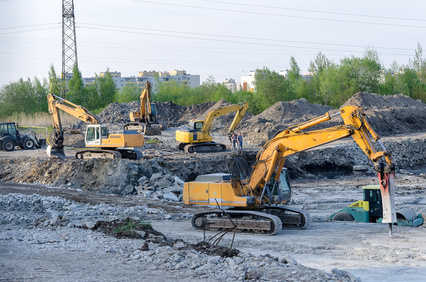 Each is actively involved in litigation defending individual owners from value eroding restrictions on the use of their privately owned property. Karen Moreau is at the heart of an energetic debate surrounding the rights of private property owners in New York state from harvesting rich natural gas deposits located under their property. The state says the property owners can’t lease the mining rights to energy companies because of environmental concerns. Some say it’s more about nearby property owners simply wanting to preserve the serenity of their vacation homes. It seems logical in a civilized society that an individual property owner should have some degree of responsibility and accountability to fellow citizens. After all, should a property owner really have the unfettered right to set up a nuclear waste dump or run a skunk farm in the middle of a suburb? On the other hand, it’s easy for non-owners who are insulated from the financial consequences to impose their will on a property owner simply through majority vote. For example, what if the residents of a tract of homes adjacent to your undeveloped acreage decide they like to look at the open space your property provides? They each have one vote and so do you. Can they decide you don’t have the right to enrich yourself by building more houses on your land? Or should you have an inalienable right to do with your own property what you wish? As you can see, it’s not cut and dried. And because of that, it’s a hot topic of debate from local planning commission meetings to the halls of Congress in Washington DC. We’re not here to venture an opinion about the way it should be. Instead, we want to raise awareness among real estate investors that the politics of property rights can affect your economic benefit of ownership. And the problems caused by these conflicts can also create some very interesting investment opportunities. So listen in to the insights of these lawyers and expand your ability to recognize the risks and opportunities hidden in the property rights debate.